Antoine Vanner had been writing off and on for many years but as his business career took off he had to cut back. 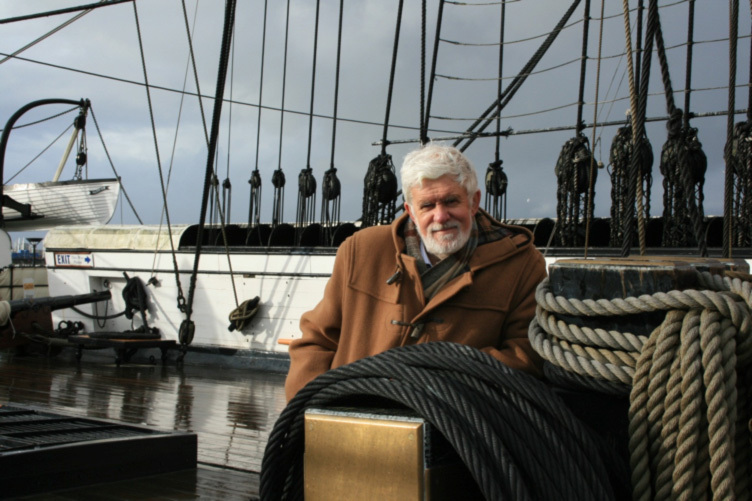 The impulse to get going again – seriously so – came just before retirement from full-time work when he attended a lecture and book-signing session by the late naval-novelist Douglas Reeman at a local bookshop. In a calm, dignified and erudite way Reeman conveyed not only vast knowledge and enthusiasm for his subject but the importance of a methodical approach to writing. He provided the inspiration for taking the task really seriously and since then Antoine has adopted the Latin motto “Nulla dies sine linea – not a day without a line”. So thank you Douglas Reeman! Antoine’s adventurous career in international business gave him the opportunity to live and work in eight countries as well as shorter assignments in a dozen more. He is bilingual in English and Dutch, adequate in Spanish, abysmal in German and has smatterings in two other languages so rusty as to be not worth mentioning. He currently lives in Britain with his wife, dog and two horses. Antoine’s fiction reflects deep knowledge of all political, military and social history of the 19th Century as well as of the “cutting edge technologies” of the period. His plots are linked to real events and real characters, often in settings in which he has direct personal experience. Moral ambiguity is a major theme in his work and his protagonist, Nicholas Dawlish R.N. and his indomitable wife Florence, are confronted by difficult ethical choices as they balance ambition and conscience.